A war of words broke out on Monday on Twitter between Human Resource Development Minister Smriti Irani and Congress leader Priyanka Chaturvedi, with the Bharatiya Janata Party leader taking a dig at Rahul Gandhi, saying that losing Assam elections was “his forte”. Not one to hold back, Irani responded by telling Chaturvedi that she does not have “Z” category security. Chaturvedi stated that she didn’t know the internal workings of the home ministry and went as per newspaper reports. 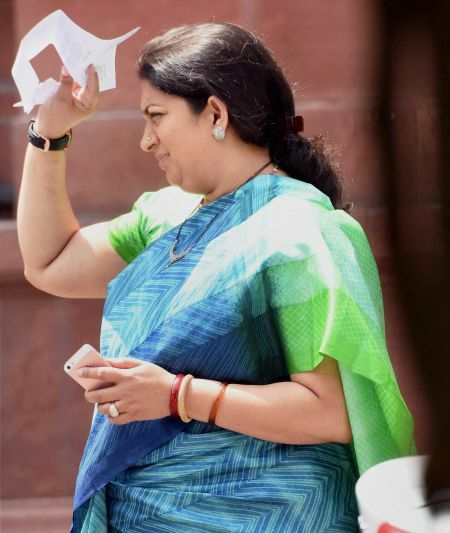 “I presume no security at all then @smritiirani?” she tweeted. “Dats more Rahulji”s forte. Oh wait, losing Assam is. My bad. Have a good day, (sic)” Irani hit back with a jibe. Chaturvedi retorted with another sarcastic remark. “Repeatedly losing and yet becoming a minister in the cabinet is your forte. You have a glorious day too @smritiirani,” she posted.